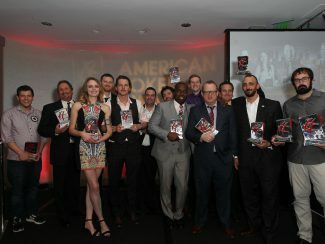 Los Angeles – February, 24th, 2017 – The 3rd annual American Poker Awards and Conference, sponsored by PokerStars, has recently concluded at the Sofitel Hotel in Beverly Hills in a night celebrating the game’s brightest stars, breakout players, as well as standout industry influencers and media persons throughout the Americas. 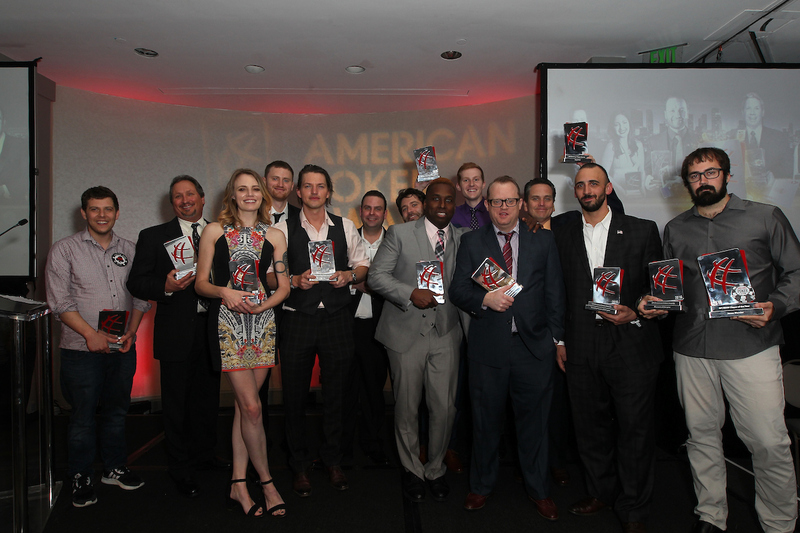 Over 150 top players & industry figures were in attendance both to discuss the future of the poker ecosystem as it moves into 2017 and to celebrate last year’s biggest achievements in the game. David Peters took the most prestigious trophy in a competitive category – GPI Player of the Year – honored for a world-topping performance on the live tournament scene in 2016 that culminated with a 3rd finish at the last-ever EPT Main Event to edge past Fedor Holz in the yearly rankings. In a night full of recognition, the emotional high water mark arguably came with Mori Eskandani’s acceptance (in absentia) of the APA Lifetime Achievement Award with everyone in attendance opting to give the televised poker pioneer a standing ovation out of respect regardless. Eskandani, along with his production company PokerPROductions were instrumental in ushering in the modern age of poker shows on television, having a hand in a majority of the most popular poker programs aired during the last decade – from WSOP coverage, to NBC’s National Heads-Up Championship & High Stakes Poker among others. 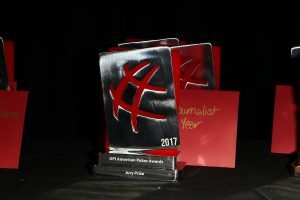 In a running theme with the American Poker Awards, this year’s categories reflected the game’s quick evolution into new media as well – with awards for Twitch Streamer of the Year and Poker Podcast of the Year added alongside established categories. 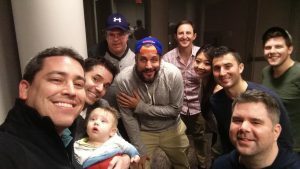 The night was an apt distillation of poker’s progress through 2016 & the industry’s continued focus on cooperation and innovation was plainly visible. Check out our full photo gallery of the night HERE and video replay HERE. Moment of the Year: Jason Mercier goes on a heaters: Captures 2 WSOP bracelets and a 2nd place finish in a single week to secure the GPI WSOP Player of the Year award in 2016.